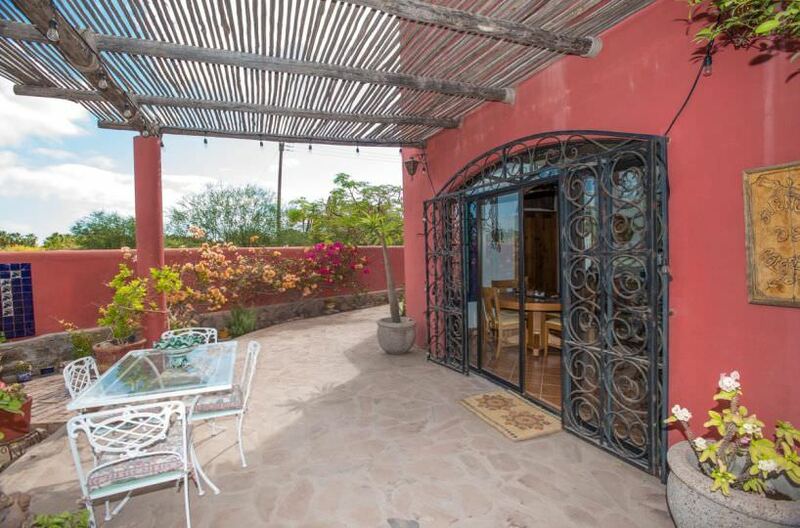 Casa Sueño de Colores~Welcome to a beautiful colorful home located in the Historic town of Loreto. Casa Sueño de Colores was built in 2007. This two story, 2 bedroom 2 bath home is full of exquisite Mexican Style and detail. Talavera tile through out the kitchen and baths, and many windows that invite the outside in. Sliding glass doors open off of the kitchen and living room and the bedrooms onto natural stone terraces and the beautiful garden. Casa Sueño de Colores is a solid concrete construction, the roof was coated with a 10 year surface 3 years ago. Ceramic tile floors through out the house and natural stone terraces on three sides. Downstairs is the living room, open dining and kitchen with a pantry. Hallway with full bath and a room that has glass doors leading out to a natural stone terrace and garden area. This room can be used as a bedroom or a TV/Den/Office. Upstairs there is the East facing master bedroom to take full advantage of the fabulous sunrises. 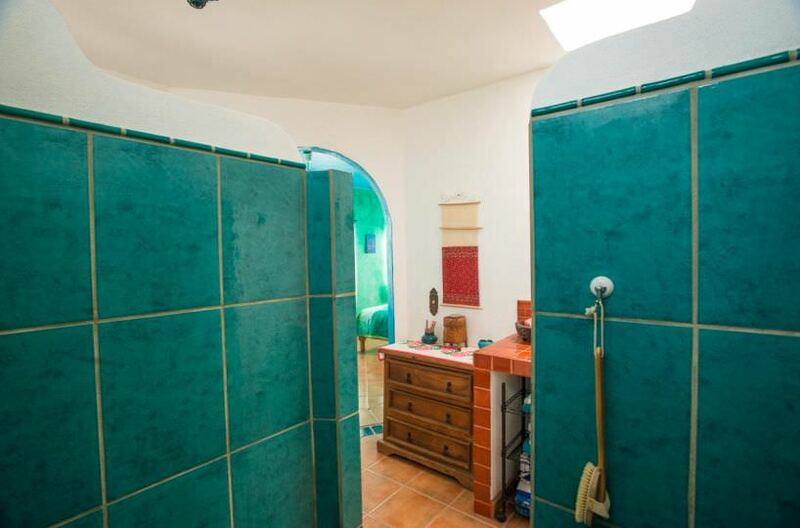 This room has an attached bath with telavera tile. There are glass doors that lead onto a tiled terrace that has wonderful views to the Sea and the Mountains. Tucked away in the private corner of the terrace you will find a concrete bathtub. There is small room upstairs that faces West with great mountain views and makes a great hobby room or den. The home is ideally situated on a corner lot to take full advantage of the fantastic mountain and sea views from the second floor. There is a concrete wall surrounding the property with gardens and patios surrounding the house. It is located within walking distance of the Sea and 8 blocks from the plaza. There is a garage as well as a storage bodega with laundry. New On demand hot water heater. Gas Stove top in kitchen and a new microwave convection oven.